(Washington, D.C.) – A new Pew Research Center survey finds more than half of U.S. teens have been bullied or harassed online. 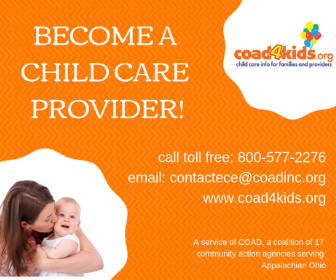 (New Philadelphia, Ohio) – The Corporation for Ohio Appalachian Development program is looking for volunteers to help with the Foster Grandparent Program in Tuscarawas County. (New Philadelphia, Ohio) – Kent State University at Tuscarawas is announcing the second annual Latino Festival set for this weekend. (New Philadelphia, Ohio) – Jersey Boys, the behind-the-scenes Broadway hit musical about Frankie Valli and The Four Seasons is coming to the Performing Arts Center at Kent State University – Tuscarawas. Does your family have a regular primary care medical provider? If not, here’s why it’s important to get one! (New Philadelphia, Ohio) – The Performing Arts Center at Kent State Tuscarawas brings the Come Hear Series back for another year. (United States) – The American Academy of Pediatrics is releasing an updated policy statement following the latest research and is providing guidance for physicians and families on teen driving risks. (Dover, Ohio) – The Dover Public Library is inviting the public to the StoryWalk® at Dover park for a teddy bear picnic. (New Philadelphia, Ohio) – The Tuscarawas County Health Department is confirming a second case of rabies found in a raccoon. (Canton, Ohio) – The Canton City School District is gearing up for its third annual event later this month.